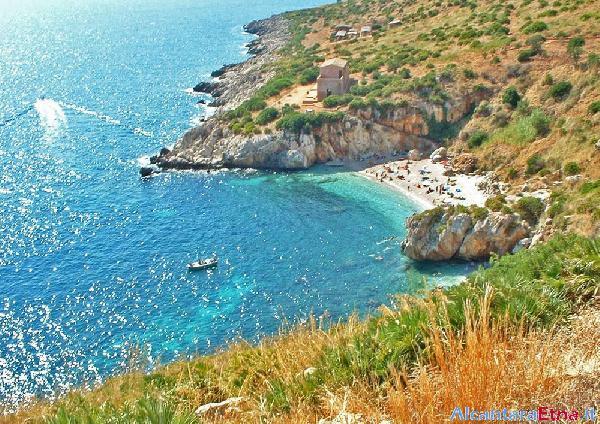 San Vito Lo Capo is one of the most famous summer residence of Sicily, for the beauty of its beach that in 2011 the best Italian beach was elected. 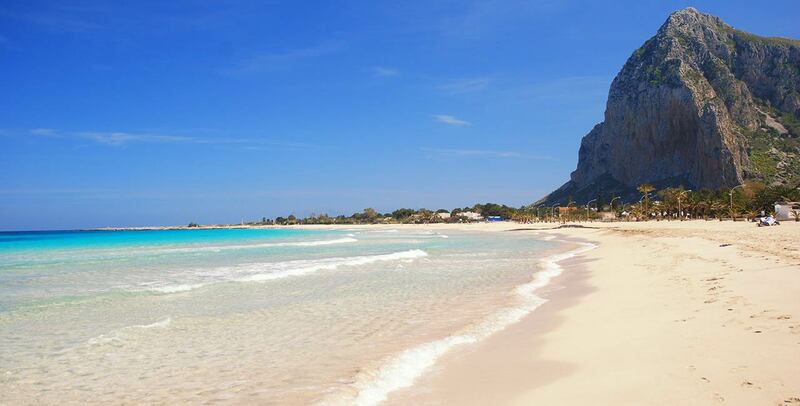 Nestled on the beautiful beach that has made him famous around the world, San Vito Lo Capo, with its mild climate even in winter, it is one of the most popular destinations in western Sicily and is located a few kilometers from the famous Zingaro Nature Reserve. The Mediterranean atmosphere that you breathe, the wealth of natural beauty and numerous cultural opportunities of the surroundings make San Vito Lo Capo the ideal destination for a beach holiday with the whole family. The heart of the town is Piazza Santuario overlooking the Via Savoia, full of shops and local, very popular especially in the evening, a favorite meeting place for shopping and relaxation. In the square there are concerts and shows and also perform street artists in the long warm summer evenings, while the premises on the beach at sunset young people meet for friendly Happy Hour. 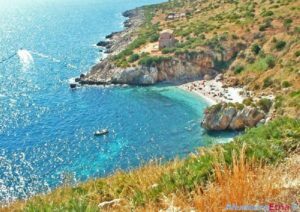 But it is the beautiful beach that all meet and stay relaxed the hottest hours of the day. 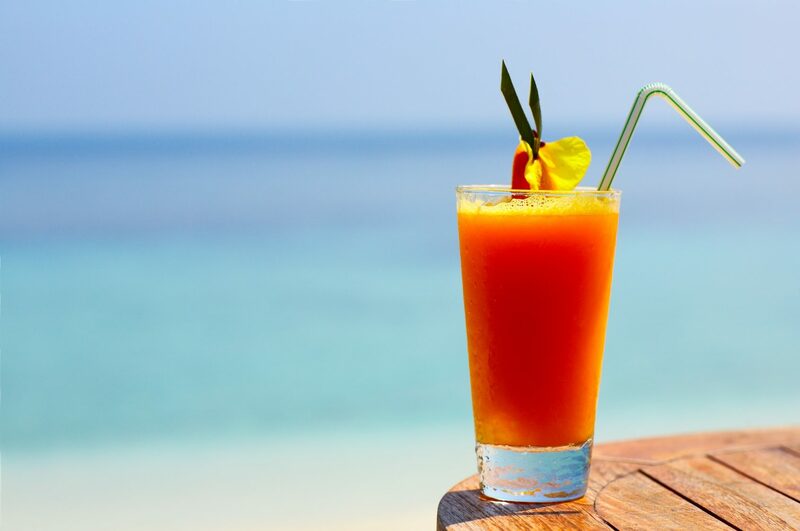 A long beach of fine sand, a sea of brilliant colors, shallow waters safe for even the youngest, a jewel nestled between the majestic Monte Monaco and the rock wall of the Piana dell’Egitarso, that rivals the best Caribbean beaches. On the coast road that runs along overlook many restaurants and bars, where you can comfortably have a snack or lunch overlooking the sea and where it is good to be back in the evening to meet friends. For walkers are spoiled for choice, many trails climb up the surrounding hills and into the two reserves, Zingaro and Monte Cofano, a truly unique nature and countryside perspective . Thanks to the wonderful climate that San Vito Lo Capo enjoys almost year round you can play outdoor sports activities in spring and in autumn. In fact, for several years, they are taking place in the area national and international events such as the San Vito Climbing Festival. 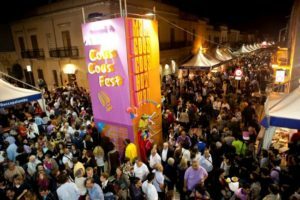 The most awaited event remains the week dedicated to the Cous Cous Fest, which takes place every year in late September. 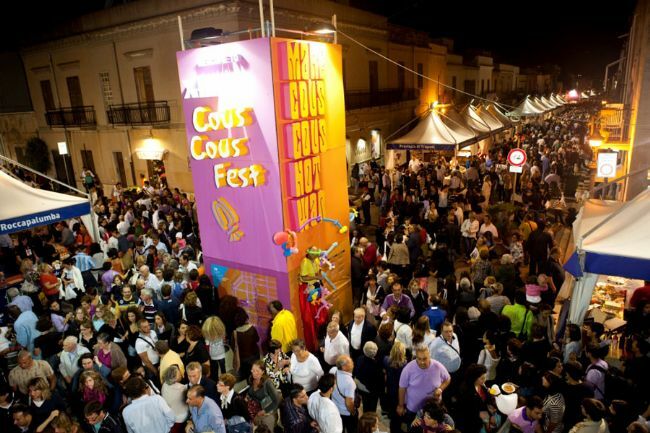 A festival that since 1997 brings together around the dish of Arab origin, the whole world. A time of great celebration in the name of peace among peoples.